Two agents from U.S. Homeland Security’s ICE unit arrived at my door in September looking for a Polish lady — not a person, but a painting: Melchior Geldorp’s “Portrait of a Lady.” She had, they informed me, been looted by the Nazis from the National Museum in Warsaw. Unsure if these gentlemen were indeed who they claimed to be, I didn’t invite them in. But I knew exactly what they were seeking: My partner, David, and I had purchased this very portrait — ostensibly the work of a different artist — a decade earlier from a major auction house in New York. Upon their leaving, I stood dumbfounded, holding a packet of information about the alleged provenance of our painting. After calling David at work to drop this bombshell, I began a Googling frenzy, eventually bringing me to Poland’s Division for Looted Art website. Seconds later I was gawking at an old black-and-white photo of our beloved lady, a beautiful portrait painted on oak panel in 1628. Tears welled in my eyes with the realization that, without question, if this were true we needed to do our duty and get her safely home. Decades behind the Iron Curtain meant Poland didn’t start aggressively seeking its lost patrimony until the late 1990s. Being an opera singer, I was among a group of vocalists on a government-sponsored tour of Israel some years ago. During a visit to a community center for Holocaust survivors I was asked to sing. The emotion of being surrounded by people who had prevailed through such unimaginable horrors was overwhelming, and I found myself unable. Excusing myself, I attempted to make up for it by spinning several of the ladies around the dance floor — all the while trying not to look down at the numbers tattooed on their wrists. Now this memory flooded back to me, and I found myself once again in tears, hyper-aware of how Nazi atrocities affect us still to this day. The toll of World War II in Poland — including the deaths of 6 million Poles, Jews, and other outcasts, including homosexuals — is unimaginable. Being gay men, David and I feel a personal connection with these losses and are conscious of how political shiftings can lead to vulnerability. This, added to the knowledge that Poland’s LGBTQ community is still in a struggle for its basic rights, has weighed heavily on our minds. On a warm, humid June evening on Regent Street in London, among the fanciest stores in the world, the international art auction house, Sotheby’s, auctioned the Max Liebermann painting Two Riders on a Beach, for many times the pre-sale estimate to an unknown buyer. The painting, a 1901 scene of two elegantly dressed men riding chestnut horses with the surf breaking behind them, belonged to my great great uncle David Friedmann, and was stolen from him by the Nazis. I saw the painting in person with my son for the first time the day before the auction. 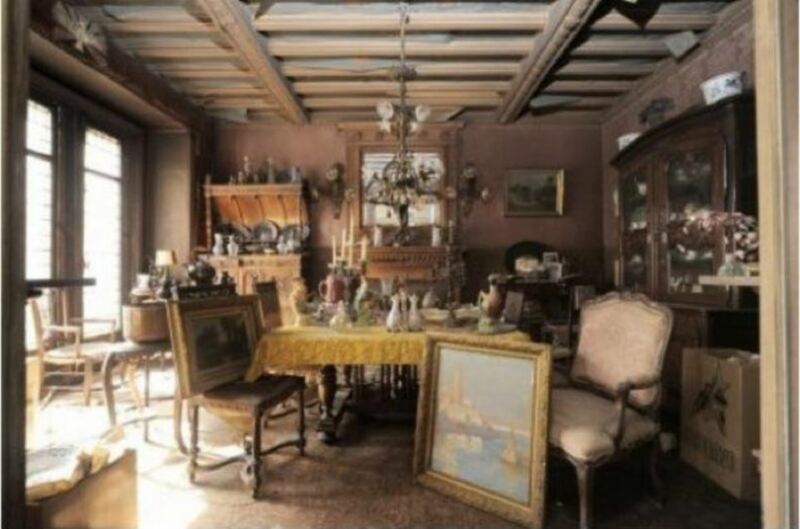 German tax investigators found the painting in the Munich home of Cornelius Gurlitt, the son of the infamous art dealer to the Nazis, Hildebrand Gurlitt. Two Riders was part of a 1,200-work trove that was found in Gurlitt’s home in Munich, which included some invaluable pieces that had been stored in tomato crates. While a number of the other works were likely also stolen from Jewish owners, the German government has only returned one painting to its rightful Jewish owner other than Two Riders. The history of the painting, and especially its recovery, represents a story of success, struggle, survival and redemption that many Jewish families have gone through in the last 100 years. David Friedmann’s family, a wealthy and successful German-Jewish family, owned a 10,000-acre sugar beet farm, that included a distillery for making schnapps and a “castle,” near Breslau, now Wroclaw in western Poland. Friedmann was an avid collector of art, and in addition to Two Riders, also owned works by Camille Pissarro, Gustave Courbet, Jean Francois Raffaelli, and Henri Rousseau, along with a remarkably comprehensive collection of Italian, German and Dutch fine pottery. Villa Grisebach, the German auction house, also sold from the Gurlitt trove another Liebermann, The Basket Weavers, looted from Friedmann. My father, who vividly remembers Two Riders hanging in a sunroom in Friedmann’s home in Breslau, recalls him as a kindly, though imposing man, who liked to give parties, attended by German intellectuals including the composer Richard Strauss. My father and his brother were the only members of his family to survive the Holocaust and as a child of a survivor, I grew up listening to my father tell me stories of my family’s German history and the connection to David Friedmann. My grandfather was a prominent lawyer in Breslau, and as dispensation for serving as a Colonel in the German Army in the First World War, he was able to continue to represent Jewish clients even after other German Jewish lawyers could no longer do legal work. On November 10, 1938, the morning after Kristallnacht, when Jewish stores and businesses were looted, and Jews were beaten and killed, my grandfather was required to assist Friedmann in “selling” some of his property to the Nazi General Ewald von Kleist. . . . .
A 450-year-old German artifact that was used to tell time and to make astronomical calculations will be returned to a German museum from which it was likely stolen, according to the Toledo Museum of Art. The device, called an astronomical compendium or astrolabe, disappeared from the Gotha Museum in Gotha, Germany, sometime in 1945. Americans occupied Gotha during the war and many of the museum’s collections were moved in 1945 to the former Soviet Union once authority over the area was transferred from United States. The astronomical device, though, was one of the few items from the museum that didn’t end up in the Soviet Union. Instead, it landed in the hands of a New York art dealer before it was sold for $6,500 in 1954. The museum in 2013 received a letter from the director of the Gotha Museum, saying that it found out about the piece in Toledo and believed it was theirs. The two museums then reached an agreement to get the historically valuable piece back to its rightful owner, Kennedy said. . . .
Terezin (Theresienstadt), a fortress and garrison town built at the end of the 18thcentury, was used by the Nazis as a transit camp for Jews rounded up in Czechoslovakia and deported from elsewhere in Europe. They were held in the ghetto until they could be transported to camps farther east. Nearly 160,000 Jews went throughTerezin. Most perished either there or in the death camps of Nazi-occupied eastern Europe. The camp remained in operation from autumn of 1941 till its liberation in May 1945. The discovery of the objects, some of which bore their owner’s names, was disclosed by the Ghetto Theresienstadtproject, which is funded by German and Czech sponsors. “The unexpected finds such as these suggest that an abundance of precious legacies from the ghetto period are still waiting to be discovered in buildings throughout Terezin,” the group said in a news release. The group said the highlight of the find was the head tefillin, a small black capsule containing a handwritten parchment scroll with the “Hear, O Israel” verses from Deuteronomy. The home owners discovered the objects while replacing a roof truss in their attic in November. “In their view, the way that the objects were concealed under the beams indicates the great importance that the prisoners gave in hiding their possessions,” the group said. 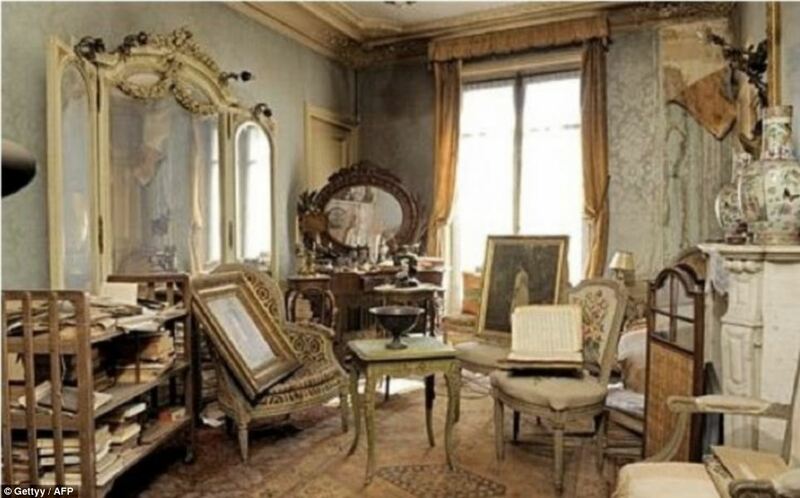 Caked in dust and full of turn-of-the century treasures, this Paris apartment is like going back in time. 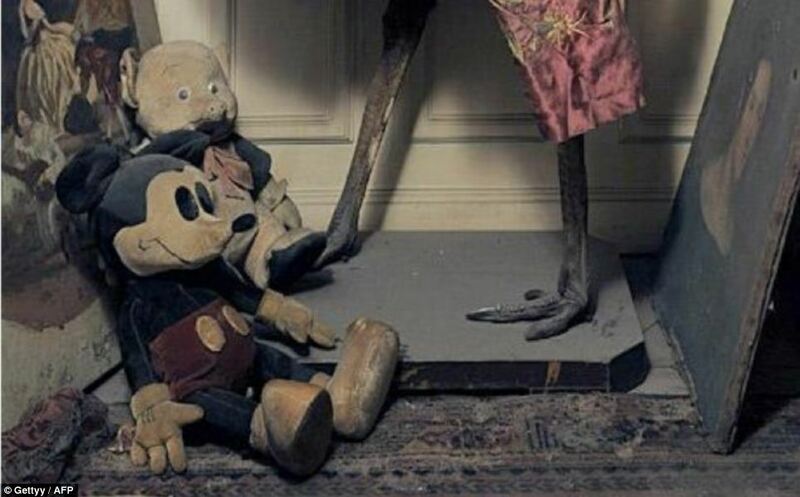 Having lain untouched for seven decades the abandoned home was discovered three years ago after its owner died aged 91. The woman who owned the flat, a Mrs De Florian, had fled for the south of France before the outbreak of the Second World War. She never returned and in the 70 years since, it looks like no-one had set foot inside. The property was found near a church in the French capital’s 9th arrondissement, between Pigalle red light district and Opera. Experts were tasked with drawing up an inventory of her possessions which included a painting by the 19th century Italian artist Giovanni Boldini. One expert said it was like stumbling into the castle of Sleeping Beauty, where time had stood still since 1900. ‘There was a smell of old dust,’ said Olivier Choppin-Janvry, who made the discovery. But he said his heart missed a beat when he caught sight of a stunning tableau of a woman in a pink muslin evening dress. 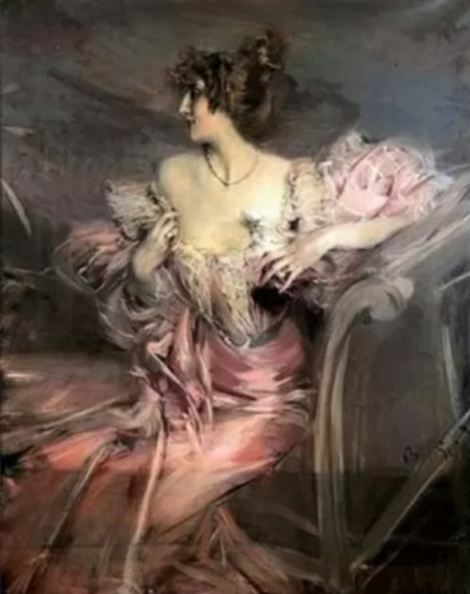 The painting was by Boldini and the subject a beautiful Frenchwoman who turned out to be the artist’s former muse and Mrs de Florian’s grandmother, Marthe de Florian, a beautiful French actress and socialite of the Belle Époque. 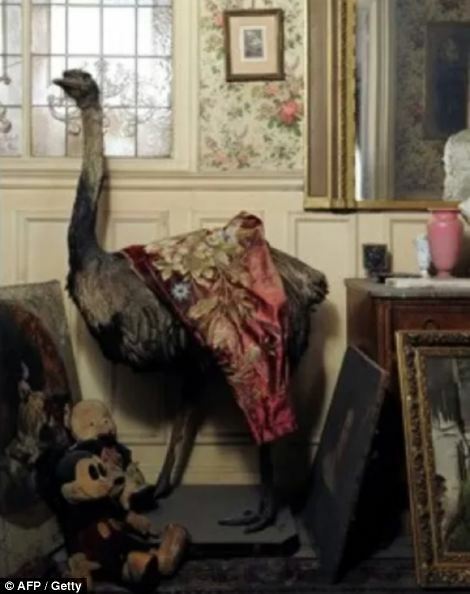 Treasure trove: Behind the door, under a thick layer of dusk lay a treasure trove of turn-of-the-century objects, including the Boldini painting that sold for £1.78million. . . .